Scotland Week is an annual celebration that takes place in the USA and Canada where thousands of people come together to celebrate all things Scottish. There are over 50 million people worldwide who have Scottish ancestry and Scotland Week is an opportunity to reconnect those people with their heritage. It also enables people with an interest in Scotland to find out a little bit more. National Tartan Day falls on April 6th every year and on the weekend closest to this date, New York hosts the Tartan Day Parade. The parade takes place on 6th Avenue and is led by a Grand Marshal. It brings together pipers and drummers from all over the world in a celebration of the contribution the Scots have made to the USA. 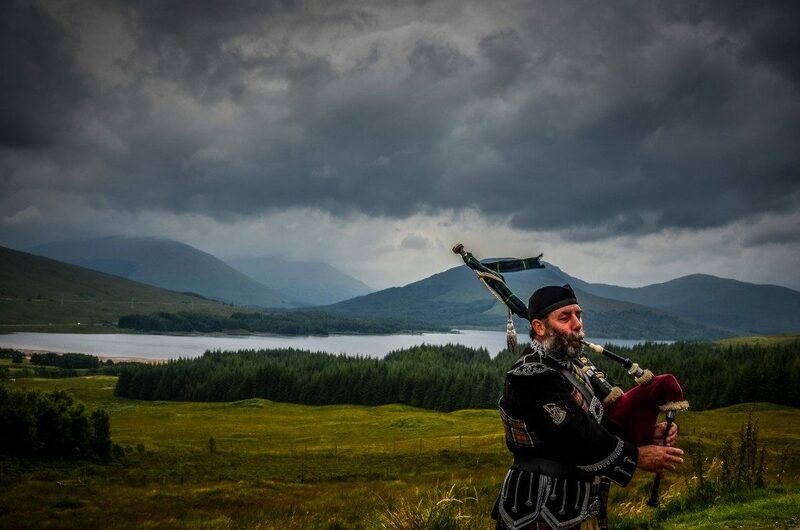 This year also happens to be the 20th Anniversary of New York City Tartan Week so in honour of National Tartan Day today we are sharing this beautiful photograph taken by Michael McKinlay called ‘The Piper’ which was submitted to our competition Capturing Culture.